On February 9, 2015, Marvel Studios announced it would coproduce Spider-Man together with Sony Pictures Entertainment, thus plotting a new direction for the entire Spider-Man film franchise and new possibilities for the entire Marvel Universe storyline. Marvel Studios has been producing films involving several Marvel characters. As a backgrounder, Disney bought Marvel in 2009 for $4 billion, thereby securing rights to Marvel creations—except for two. Sony owns the rights to the Spider-Man franchise while Fox owns the rights to the X-Men franchise. Spider-Man has been one of the biggest superheroes created by Marvel. It has long been in Marvel Comics and has spawned several storylines, including a legion of followers. When Sony first introduced the Spider-Man movie in 2002 under Columbia Picture, the project drew commercial success with box office sales of $821.7 million. It was the first film to pass the $100 million mark in a single weekend. Spider-Man 2 followed lead with box office sales of $783.8 million and it even broke the opening day record of the first film. Spider-Man 3 also garnered commercial success with box office sales of $890.8 million. This third film set a worldwide single-day record of $104 million. In years 2012 and 2014, Sony Pictures Entertainment produced and ran a reboot of the Spider-Man film franchise. There were mixed reactions, of course, with observers and media questioning the decision to discontinue the storyline that featured lead actor Toby Maguire and adopt a new storyline with lead actor Andrew Garfield. Dubbed as The Amazing Spider-Man, the first film earned the same commercial success along with favorable reviews from critics. In The Amazing Spider-Man 2, the film still earned commercial success but it drew mixed reviews from critics. Reviewers claimed the most recent film was far too stretched and lacked actual story despite its multi-branched plotlines. The reboot franchise has dissatisfied and worried film fans. Although Sony still holds the rights, the new shared rights to the Spider-Man franchise with Marvel Studios could mean a new direction. In addition, Marvel Studios has an unblemished record of producing box office and critically acclaimed Marvel films starting off with Iron Man and down to the Avengers. However, with years of producing superhero films under several franchises, Marvel Studios needed to offer something new—new but old. On the other hand, with Sony’s seemingly emerging problem with the Spider-Man franchise, Disney, through its production juggernaut Marvel Studios, could offer a creative and moneymaking direction to the revered Marvel superhero. Furthermore, if Spider-Man joins Marvel Universe, Marvel Studios can offer newer possibilities to the Universe continuing storyline that has been showcased primarily in the Avengers franchise and supported by standalone film franchises for specific Marvel characters. Note that Spider-Man is an Avenger in the traditional Marvel Universe, specifically in Marvel Comics. His absence in the earlier Avenger films is actually a deviation from the comic cannon. 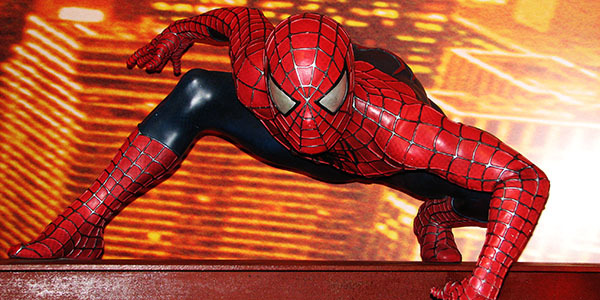 The new Spider-Man film is slated for a June 28, 2017 release. Amy Pascal, who is stepping down as co-chair of Sony Pictures Entertainment, will be producing the film. They might introduce a newer actor to play the superhero, which might be bad because it would mean a reboot. However, because Marvel Studios will also oversee the production in its effort to include the character in its Universe continuing storyline, Spider-Man could get a more appropriate reboot and character rebranding. Meanwhile, it is somehow impossible for Fox to hook up its X-Men with Marvel Studios. Although it would certainly be fun to integrate the X-Men storyline with the Universe storyline, Fox has already established its own success formula. Unlike Sony, it doesn’t really need Marvel Studios. On the side note, Marvel Studios has several X-Men characters under its arsenal—including Quicksilver and Scarlet Witch who will both appear in the Age of Ultron.